Edge-Emitting FlexTape offers a lighting configuration to provide the perfect downlight or uplight grazing feature. 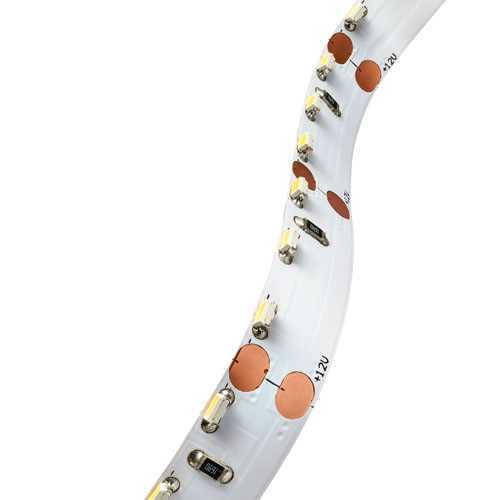 Consistent coverage and illumination is attributed to the minimal diode spacing and ability to cut every 1.25". This beautiful effect will add cutting edge appeal to all your lighting projects.